Now the question is what is the role of press release in seo. The press release is very useful tool for seo. Because a good press release can give you a number of back links instantly. Some people says that press release is old fashion and now it is not working. But is not right, press release plays very important role in seo. 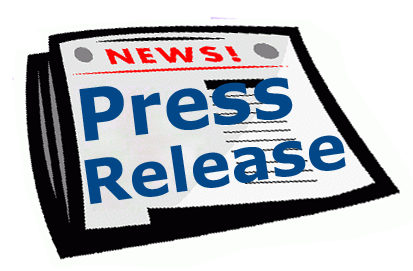 Press release is an important tool to tell other people about your company and product . And when you submit a press release the search engine index that news and if you give any link to your site in that news then your site will be get a backlink and thus more people will visit your site and site will be indexed also by search engine. But all it depends on how you write a press release. If you write an seo friendly press release. Then this will be help to your to get traffic on your site. Some tips for how to write a press release. Keywords: First of all you should choose your keywords according to your product or company or website. This is very important task. Because all search is based on the keywords and the user enter keywords for search and search engine will find the result on the basis of keywords. For this keyword research should used. You should use appropriate keywords related to your product and which are more searched by audience. There are many online keyword research tools available. You can use any of them. The press release has the following parts. Heading: Heading is the main part of a press release. Search engine shows the headline in the search when a search is made so be be specific about your heading. And use your primary keywords in the heading. Because search engine will first find the heading and if he will find the appropriate keyword then your news will be put in the result. And user will only click on your heading if your heading is interesting and easily understandable, So make an good and interesting headline. Subheading or Summary: summary is second part of press release. This contains short introductions about your news. This should also contain keywords and not so long. This should be not exceed than 240 characters. Be precise. Body: Write the detail of your news in the body phrase of your press release. The body should contain at least 300 words. And and 3-4 keyword phrases. Company Bio : This phrase should not so long it should be almost 100 to 125 words . In this phrase you will tell about your company , What is your company , What your company does etc. Contact Information: In this is section contact information is given mailing address ,email id etc . Now you can submit your press release. List of some sites is given below where you can submit press release. The best thing about this post is short and direct. Gives the required information on the essentials of a press release. I'll share this on my personal FB page. Please keep coming up with more such posts. This is extremely an impeccable and great explanation...thanks for sharing your information.keep posting.